A pivotal moment is set in the calendar in a few short weeks. In Addis Ababa on 13-16 July, leaders and Ministers from around the world will gather to discuss how to finance development, just before the new Global Goals – the sustainable development goals – are set to be launched in September. 2015 represents an opportunity for the world to end extreme poverty once and for all. The development of these new goals and the conversation about how to finance them is a critical first step in putting the needs of the poorest first. It is timely then that Pope Francis just released an encyclical focused on climate change and the vast inequalities that exist in the world. The encyclical recognises how these inequalities are most devastating to the world’s extremely poor. 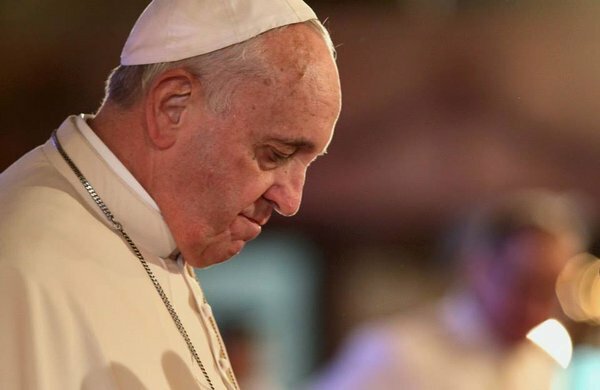 As an organisation committed to seeing the end of extreme poverty, ONE is particularly encouraged by the Pope’s focus on the tremendous impact that access to energy and agricultural development can have on the lives of the poor. The encyclical appropriately recognises the need for developing countries to increase energy production and access for their people; and calls on developed countries to help finance innovations in clean energy production. We also applaud the Pope’s commitment to ending extreme poverty through sustainable and diversified agriculture. As the encyclical states, “Agriculture in poorer regions can be improved through investment in rural infrastructures, a better organization of local or national markets, systems of irrigation, and the development of techniques of sustainable agriculture.” We fully agree that a “global consensus” could lead to planning for such improvements. With this encyclical, Pope Francis joins a growing number of world leaders who recognize the devastating impact of poverty, hunger & malnutrition on the world’s poorest, and how climate change exacerbates that. Just last week G7 leaders announced a joint commitment with the African Union to install 10 GW of renewable energy in Africa, and declared their aim to bring 500 million people out of hunger and malnutrition by 2030. These are exactly the types of interventions we need to bring more electricity to those who currently do not have access, and the bold targets we need to have to reach zero hunger in the world. Climate change hits the most vulnerable first and hardest by exacerbating existing vulnerabilities and reducing resilience to external shocks. The needs of the poorest must come first, with action on climate change matched by action on extreme poverty. As Pope Francis says “Strategies for a solution demand an integrated approach to combatting poverty, restoring dignity to the excluded and at the same time protecting nature.” If world leaders can take up Pope Francis’ call to action and make sustainable agriculture and energy a priority in their assistance to the world’s poorest, then that would truly be praiseworthy.